Salesforce.com is an American Cloud Based software company which is best known for it's Customer Relationship Management Products (CRM) used worldwide. It also provides enterprise applications based on customer service, marketing automation, analytics and application development and deployment. By reading these best books on Salesforce development you will learn all the basic to advance concepts of Salesforce and master your skills as to become a professional Salesforce Developer. If you are looking for a way to boost up your productivity, manage good CRM then LIGHTNING SALES OPS is all you need. Author Amtt Bertuzzi has shared many helpful strategies to manage your sales team in Salesforce, improve your team's output, provide better analytics and in a word make you better in every aspect. This book focuses on on sales and SDR/BDR process automation. It also shows you how to overcome the challenges of them. The author presented the secrets like how you can take advantage of the latest and greatest features to keep the best relationship with your internal customers. He then discussed the ideas of Salesforce formula and field automation so that you can save time and clicks but make more connects. 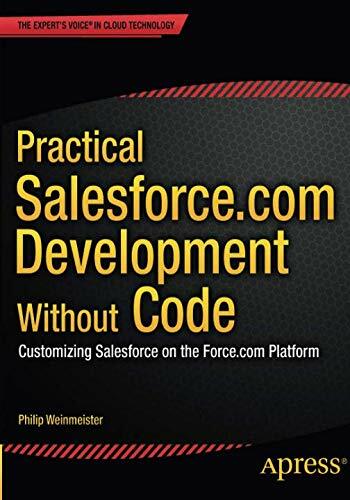 PRACTICAL SALESFORCE.COM DEVELOPMENT WITHOUT CODE is one of the best declarative Salesforce Development book you can ever get. The book is very well written in a logical way. This book is progressive and maintain complete sequence. If you are facing troubles on Salesforce relating configuration, automation and formulation then this book will be very helpful to you. This book will help you with the strategies that will make your problems solve faster. This book will show you how to unlock the true and hidden power of Salesforce for better productivity and output. 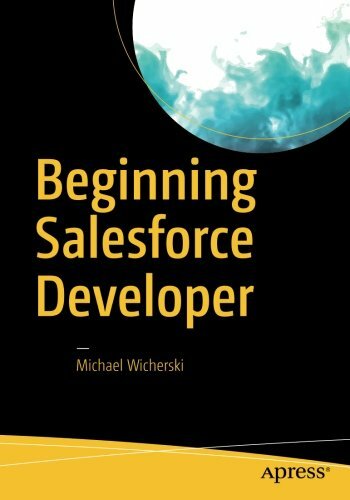 Whether you are Salesforce.com administrator, analyst or developer this book will help you in every way. You will learn how to combine analysis, creativity and logic in Salesforce.com for the best team management. The author explains each and every fundamental aspect regarding Salesforce like core elements, formulas, rules etc and shows the way to implement them on your business. ADVANCED APEX PROGRAMMING for Salesforce.com and Force.com is intended for the developers who are already familiar with the Apex language, experienced in Java and C#. This book starts where the Force.com documentation is revised. This book mainly focuses on the things and tons of new tools of Salesforce.com. 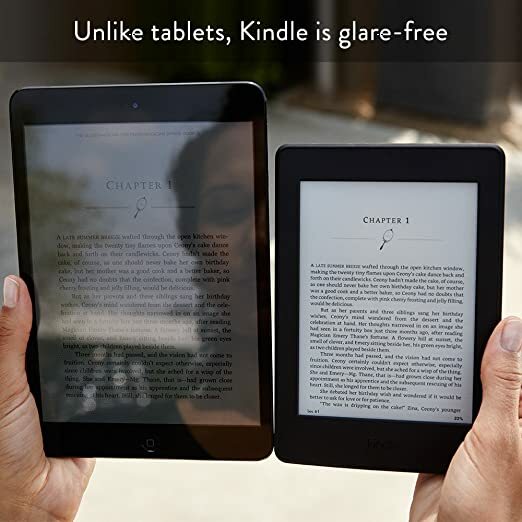 It contains valuable information on critical problems and how you can make them easy for you. Dan Appleman writing style will draw your attention through out all the chapters. This book has all the contents an Apex programmer should know. 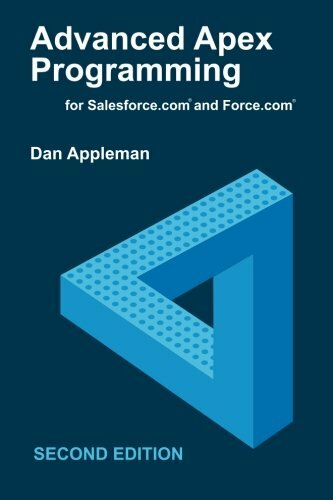 This book will help you to understand structures, designs, best practices and many other things to develop your own team on Salesforce.com. 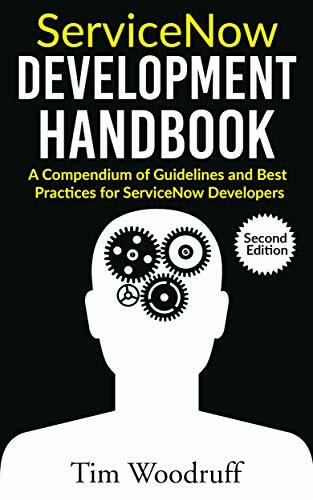 SERVICENOW DEVELOPMENT HANDBOOK is a powerful resource of IT Service Management with a highly configurable back end. It is widely used currently. It has become a very popular platform where you can achieve your tasks in multiple ways. ServiceNow gives you freedom to do anything with your business and provides you the best solutions which suits you the most. By taking care of the risks which come with freedom to do any changes in your business famous writer Tim Woodruff has customized this book. There are proper conventions to follow and suitable approaches to take with coding on ServiceNow on this book. This book discusses the pitfalls, quality standards and best practices which are necessary for all the developers to learn. Once you finish this book you will learn how to be more effective and efficient developer. This book will make your learning experience much easier. It will boost up your confidence to be a successful ServiceNow developer. SLESFORCE CRM is a fantastic resource for administrating Salesforce with the best practices, examples and strategies. This book is a must have for all the Salesforce Admins. This book is based on the real world problems and solutions which will be very helpful for you to work on Salesforce. It is an all in one guide which gives comprehensive information of administration principles, various complex design considerations for setting up and customize Salesforce CRM. It also provides you the best strategies for data management, process automation, analytics and many other things related to enterprise security. 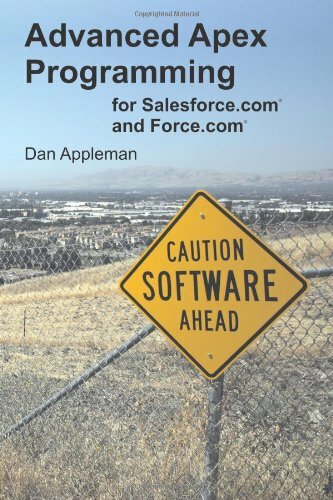 This book is very detailed and covers every topics and functions related to Salesforce. It will guide you to the advanced level step be step. Paul Goodey has used his writing skills to show you how to properly utilize Salesforce software. Whether you are a beginner or a professionally experienced Salesforce Admin, this book will suit you in every way. ADVANCED APEX PROGRAMMING is filled with fantastic resources for programming is Apex. It is targeted for the intermediate to advanced developers who are already familiar with Apex programming. Those who have sound knowledge in Java and C# will find this book very handy. This book mainly focuses on the core design patterns of Apex language. This book will provide you an overall idea about how you can use the complex and bulk patterns of Apex. Efficient and reliable trigger handling for developing effective architecture, best practices to follow and proper approaches to take for building software for an organization are some of the main topics of this book. You will also have strategies to improve reliability and deployment of Apex software and the ways to minimize the support costs. SALESFORCE LIGHTNING APPLICATION DEVELOPMENT is a must read for all Lighting developers who want to make the best use of Salesforce. Renowned author Mohith Shrivastava has analyzed the marketing clutter and explains the concepts from a developers point of view. 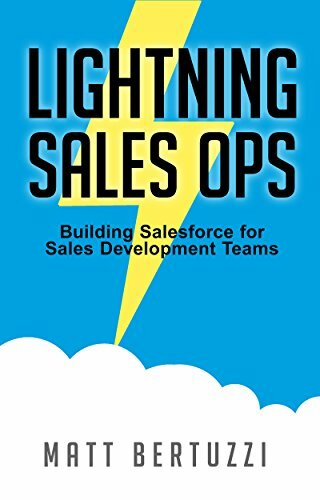 If you are a Salesforce developer and want to build custom Lightning solutions then this book will suit you the most. This book has made the complex parts of Lightning easy. 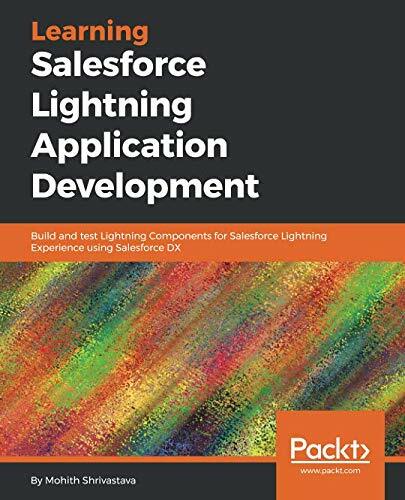 This book explains how to build blocks to form a Lightning bundle, use and capabilities of Lightning Flows, integration and use of Lightning Data Service and many more. It also includes debugging, performance tuning and code examples from Github. From building simple Lightning components to master the complex architecture of Lightning, this book will help you all the way to the finish. BEGINNING SALESFORCE DEVELOPER is beginner friendly guide for Salesforce development. 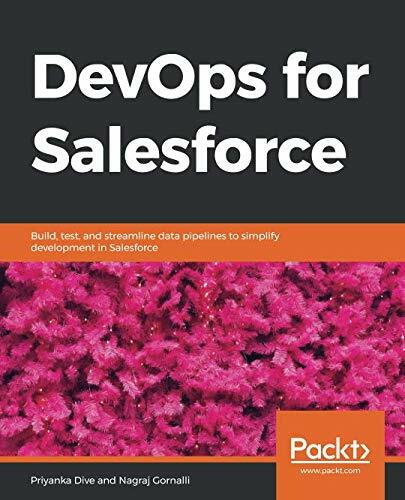 With step by step guidance this book explains the architecture of Salesforce platform and show you what you really need to learn for being a developer on Salesforce. It also includes the best practices and strategies that the industry follows. This book starts with setting up the developer environment and then take you to the most effective way of deploying your application to production. You will learn tips and tricks which are helpful for you and your company. Example based code is easy to understand in this book. 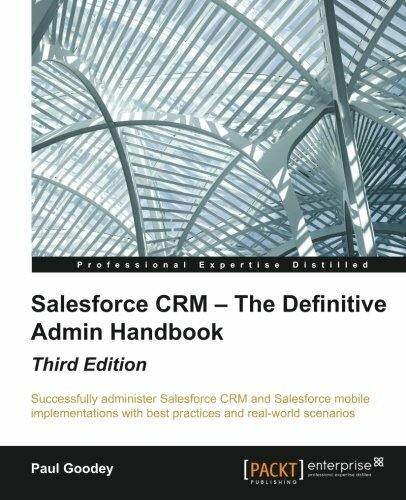 This book is a must have for Salesforce Administrators who are developing on the Salesforce.com platform. Those who are preparing for the Admin Certification Examination, this book can be your best option. 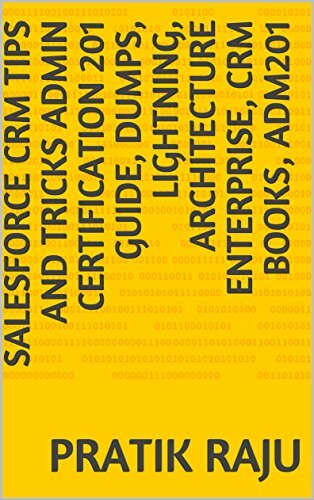 You can learn about the basic to advanced features of Salesforce CRM and Lightning interface to create effective techniques for the best user interaction and to deploy real world solutions.This book will help you to build your skills to crack the Complex Admin Certification Examinations. You will also have a glimpse on Sales, Marketing and Service cloud application. With in depth knowledge on every important topics this book will help you the most. DEVOPS FOR SALESFORCE addresses all the relevant information on one of the top CRM tools used currently. This book discusses all the functions and features of Salesforce CRM and also explains all the problems you might face while trying to deploy your applications and how you can resort to DevOps to take these challenges. This book begins with the overview of the development process of Salesforce app, then step by step covers various types of functionalities of it. It shows you the pros and cons of Salesforce when it comes to the fact of deploying your app. It will also give you ideas about automating the deployment, usage of migration tools and using the latest tools in this environment. Finally, the book will conclude by showing you how to track bugs in your application changes using monitoring tools and how to quantify your productivity and ROI.